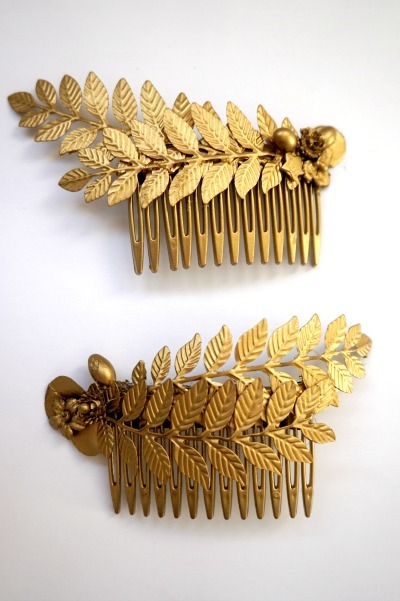 Comb of aged golden flowers, leaves and pistils. 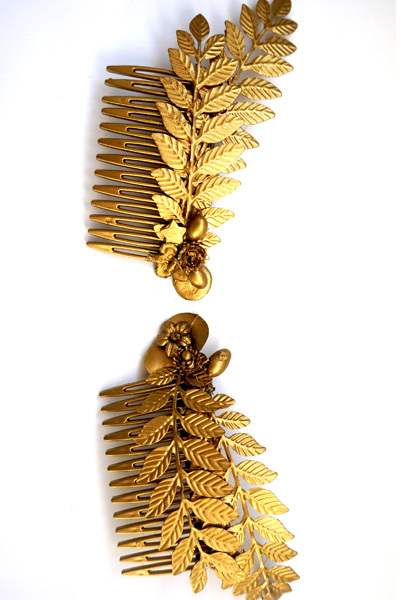 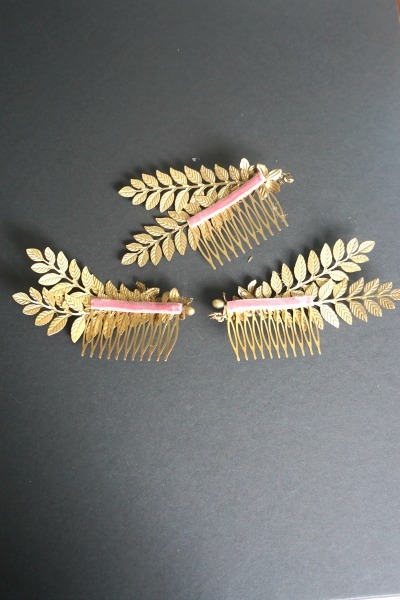 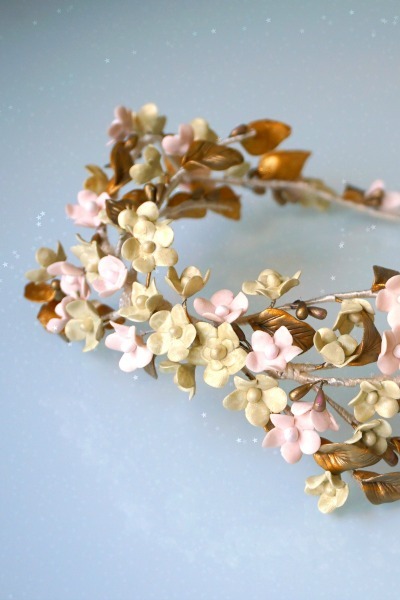 These golden combs are perfect to wear them together making a half crown or to separate them. 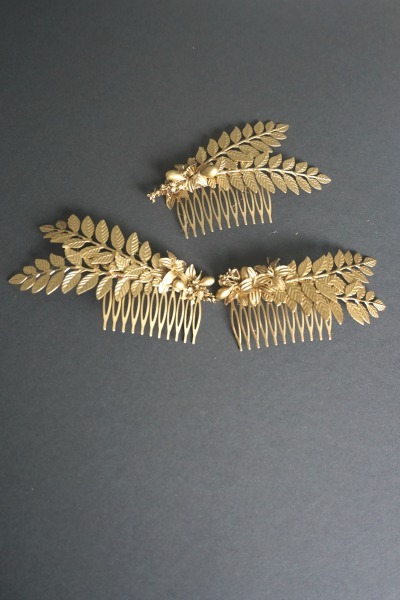 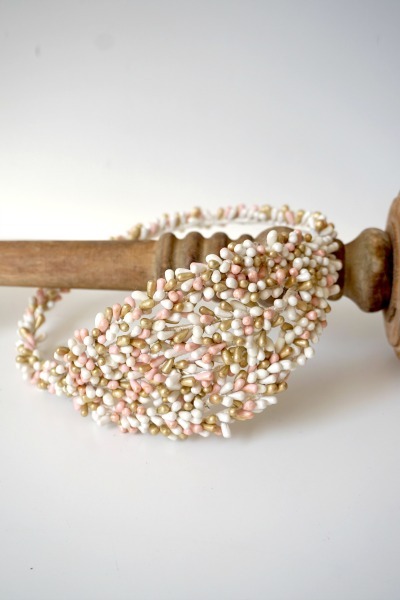 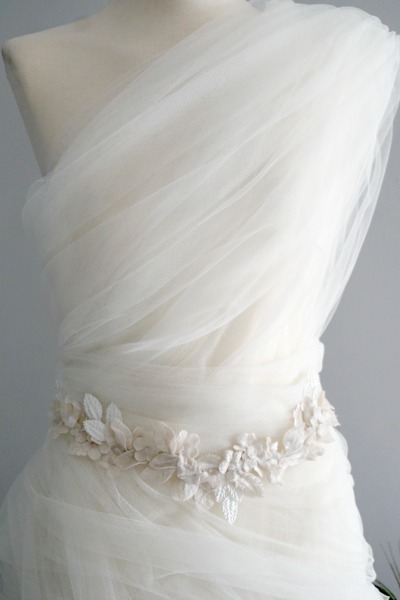 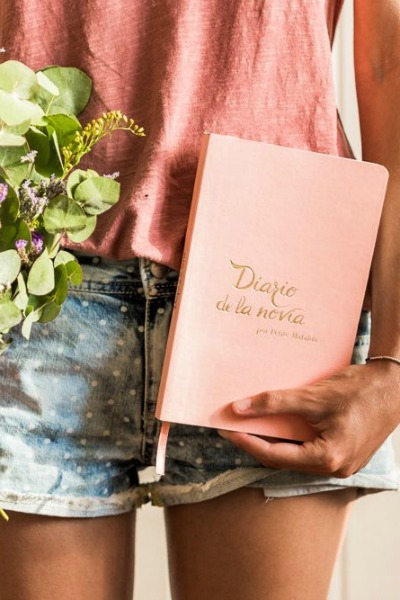 They are beautiful to combine with a romantic and chic bride look, or with a guest look with a greek style braid.